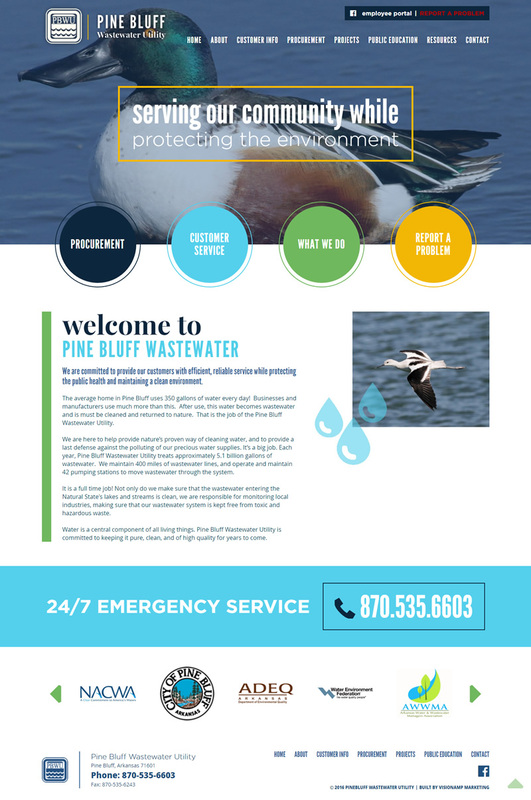 We began by adding a color scheme that complimented the Pine Bluff Wastewater Utility facility. By creating a user-friendly navigation menu and larger navigation buttons for time sensitive issues, visitors to the site are able to easily and quickly locate information. In addition to design, we added more relevant content to the overall site.